Advanced cellphones were built with great camera specs that make the usual scenes great than ever. There’s a lot of cameras that fit our budget that will make you think twice or even couple of times if you should really hire a pro photographer to capture the sweetest moments and the most memorable part of your lifetime, your wedding day. We always have that one friend who knows how to use a camera with anoh-so-big lens that looks like a big marble. For sure that’s the very first person that came to your mind when you were deciding who’s going to take photos of your wedding because this person knows how to press the shutter button and you know them so well that the risk goes off to your mind. You might think that hiring professionals would create a big hole in your pocket since choosing these “alternatives” is the best way to reduce your expenses. 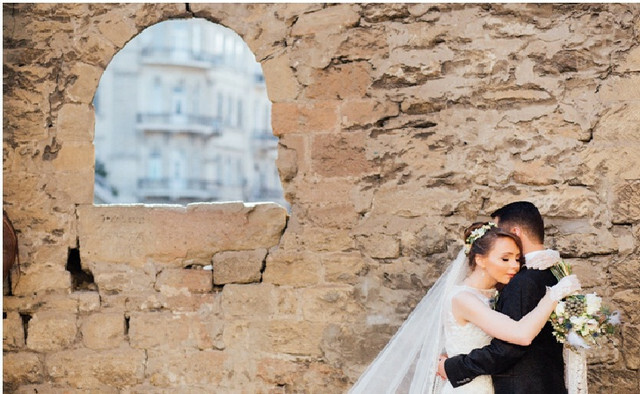 That’s why the Photography Institute shared us some alternatives to help you decide whether you should hire a professional or havea DIY wedding photos. They value your time and money. They are guaranteed to meet your expectations, they don’t back out when things don’t go your way and they will adjust their time instead. I’ve encountered acquaintances and friends backing before the wedding just because they’re not yet ready even when they were told months before. And this is where the relevance of being a professional photographer will show, they have this so-called work ethics simply because they signed up for this! You hire them and they’ll give you service. Pay them and you’ll get your worth. These professionals would not spend a single dime just to take blurred and nonsense photos. They educate themselves to make sure how to sneak a shot of the bride and groom’s precious moment. They know when to press the trigger when groom’s mother smile contently looking at the sweet couple. They are fully engaged in making sure that the visitors will also have space for a wedding album. And they know how things work when lighting doesn’t go in the way it should be. Imagine the moments that will surely make your heart warm, and that’s the exact photos you will get from them. Bad weather doesn’t mean it will be a bad marriage. After all, the wedding ceremony is being planned out because you two love each other so much, you wanted to spend the entire lifetime together. No one wants to get wet because of the rain, and for sure you don’t want this to ruin the entire memories engaged in every photo these professionals would take. Well, you don’t have to worry. They know how to ensure that the water drops won’t wipe out your precious moment. Whatever happens, they’ll surely make the most out of it. Big lens won’t make it an enormous shot but the specifications, angle, lighting and shutter speed will do. But technology is not perfect just like us, and the last thing you want to happen is your friend saying they forgot to bring anextra battery or they forgot to charge their camera before going to the ceremony! This thing will never happen if you hire a professional. They always have a backup option, backup plan, and backup equipment. They won’t invest in large cases, multiple cameras, and advanced lens if they’re not trained to take photos from the moment you start getting ready until all the guest leaves the venue. They don’t capture moments, they shoot it and edit it. They’ll do their best to give you satisfaction and if possible, go beyond your expectations toward them. And still speaking in business, they also want to be recommended if you think they will be helpful and efficient in other events as well. I’m pretty sure there’s a lot of things you needed to spend your money on. And in this case, your friend will rescue you from this forest fire. If we will speak in numbers, wedding photographers would really cost you much. But if you have a friend that has a very good camera and knows how to shoot, why don’t you take the risk? It’s just the pictures anyway, nice shots will do well and the best part of it would be in the wedding itself. Not that we are not considering the photography of art, but we’re pretty sure we just need to be practical since planning a wedding and investing in it is not just betting in a poker game. It’s not only in the ceremony that you will be able to conquer these precious moments. It’s when you two are planning whose friend will take the photography responsibility. It will surely save your time waiting outside the studio and adjusting the date of your wedding simply because it doesn’t fit with the photographer’s date plan. Another thing about it is that you’ll see the raw photos. All of it. Not just the best ones but the funny ones you would laugh at several years after the ceremony. You or your trusted friend can always use Photoshop to enhance these pictures without being awkward or shy to ask them to do it for you. Since it would be a friend or a family member that will take the photos, they surely know what kind of photos you wanted even if it’s candid or formal they don’t really care so long as they give you what you want without sacrificing the essence of the moment. You can also personalize these photos by making sure that you picked the best moment not just a good picture to show to your friends and family. Give them a copy, you can always reprint it. Frame it all over your house, it’s your remembrance anyway. Do you really need to hire a professional wedding photographer to handle your wedding pictures? The answer will depend on you and your budget. If you can afford it, please do so. But DIY wedding photography isn’t as bad as it is because it could be done well, that’s for sure. You just have to make sure things won’t go any further from what you’re expecting or else a friend might just show up with a new DSLR on his neck practicing how to shoot on your wedding day!